It was about a year ago that I discovered t-shirt yarn. And what I mean by “discover” is that I found a tutorial and excitedly made a couple of balls of yarn with some old t-shirts, thinking I would make all sorts of lovely things. That did not happen because after making the yarn I stared at the neatly wrapped balls and drew a blank. What would I make with them, I thought. So they went into my stash and there they stayed, forgotten. And then last night, while watching Frozen for the fourth time, I pulled out the t-shirt yarn and decided to make a pot holder. It took no time at all and the result was a very thick and sturdy circle, perfect for hot plates and pots. 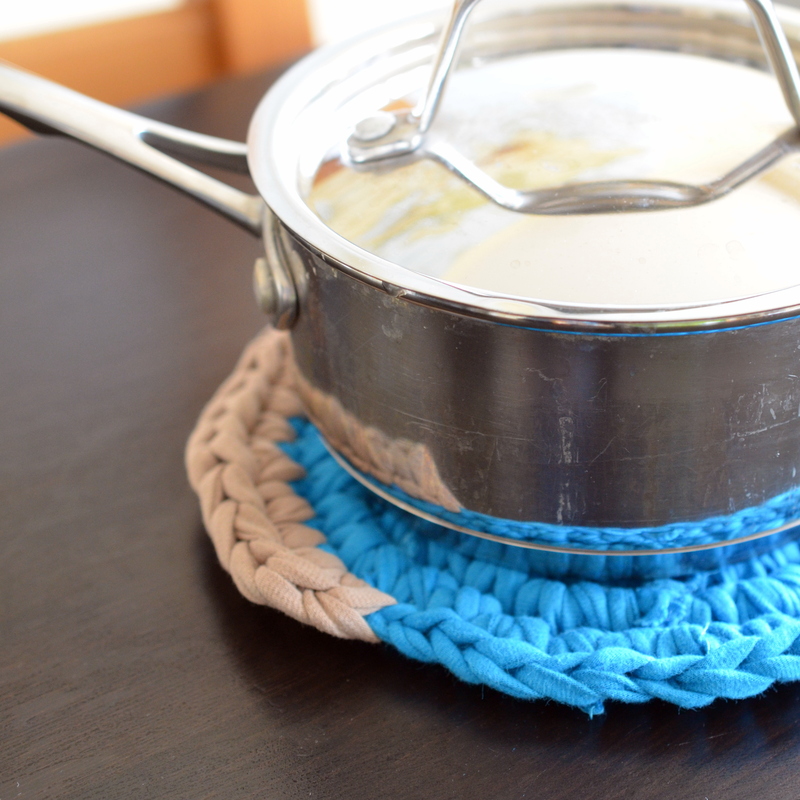 If you’ve got t-shirt yarn that is sitting around, waiting for a purpose, why not make a pot holder? Here’s the tutorial I used to make my yarn. 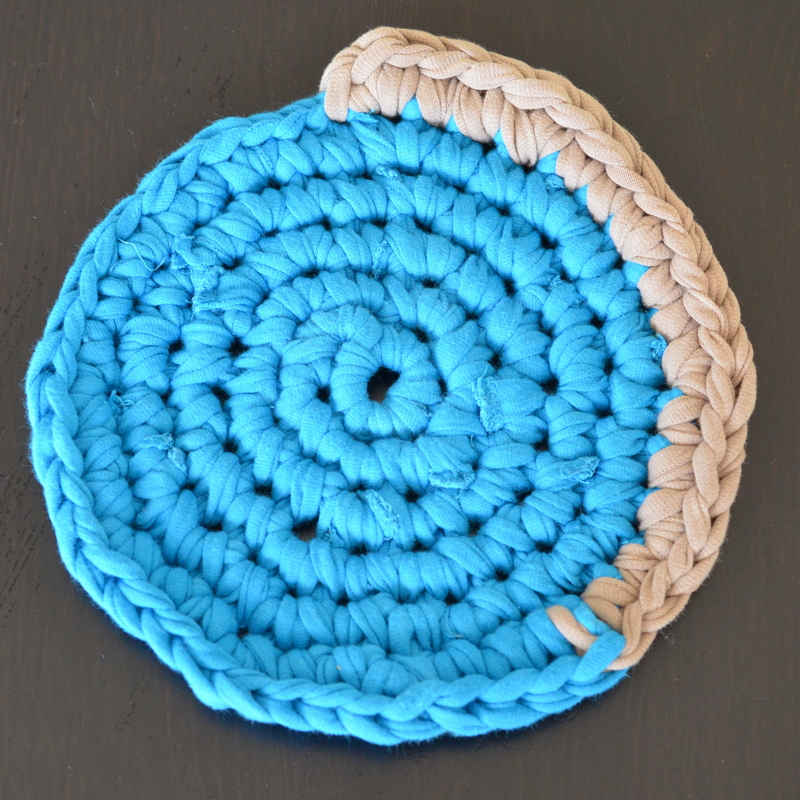 For this pattern I used crochet hook size 10mm/US N-15 and worked in continuous rounds to create a spiral. Circle is approx. 7″ across. Fasten off and weave ends. And that’s it! 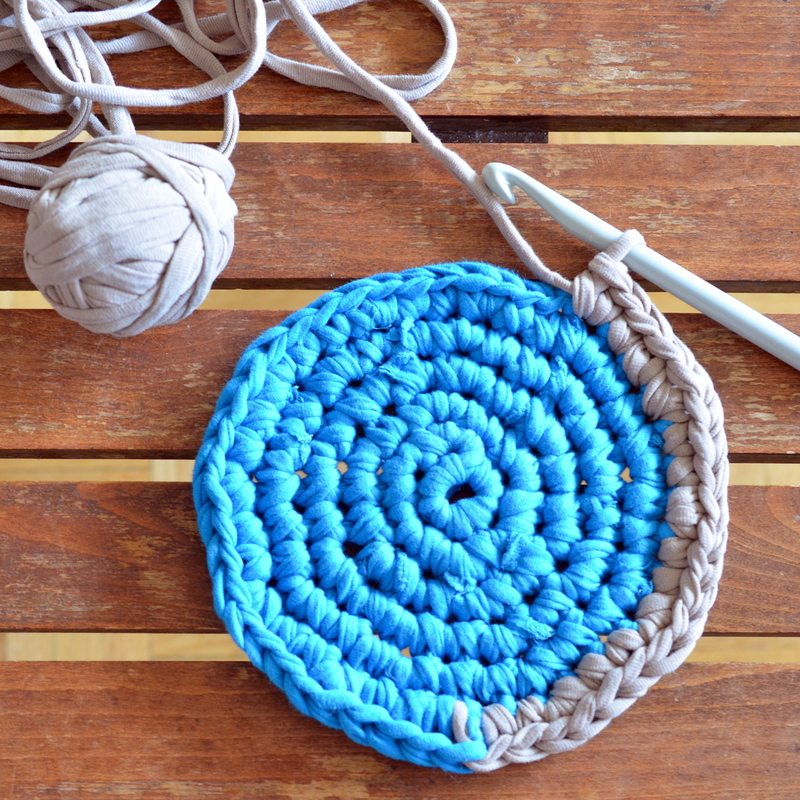 Now that I’ve taken the plunge into crocheting with t-shirt yarn I’m feeling a little ambitious and would like to attempt a t-shirt yarn rug! What have you made with t-shirt yarn? Oh my gosh, that’s a great idea! The t-shirt is just the right thickness! That’s awesome, thanks for the share!